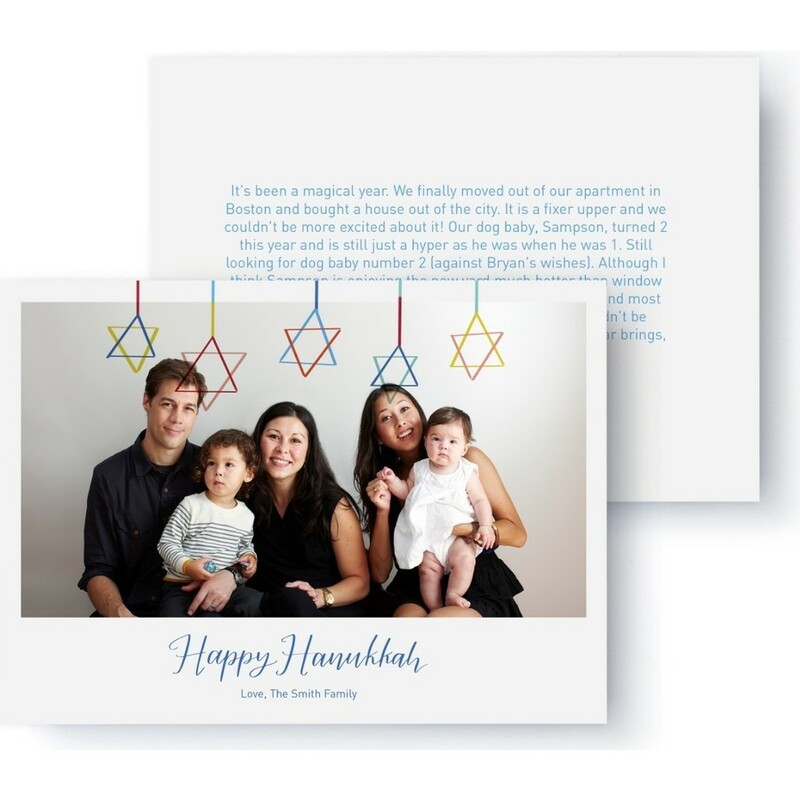 Catch your family up on all you’ve been up to with this festive Hanukkah Holiday Letter Card. Complete with your family photo and room to write your year’s review. 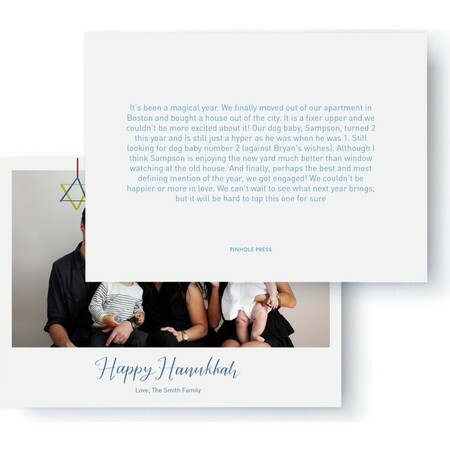 A holiday card designed by Rachel Joy. This holiday card features 1 photo.